Fire Safety Constructions has been selected to complete the fire safety and general upgrade works at the British Medical Association House (BMA House). The works, valued at $370,000, will achieve the fire upgrade requirements of the Sydney City Council whilst maintaing the significant heritage value which throughout the fire upgrade process. The scope of works consist of an upgrade of Fire Detection, EWIS, Exit and Emergency Light works. The building, located at 135 Macquarie Street, Sydney CBD, is one of Sydney’s best examples in of the transitional style of late 1920s. The historic structure is one of only a few reminders of the ‘medical precinct character’ of Macquarie Street. Today it is a commercial office building that stands thirteen storeys, distinguished by its rendered masonry and concrete and terracotta tiled facade to Macquarie Street. Designed by Architects Fowell & McConnell in Gothic Art Deco manner circa 1930 the terracotta tiles express Australian flora and fauna and medical symbols. The building was recognised for its architectural significance in 1933 when it was awarded the Royal Institute of British Architects (RIBA) bronze medal. Fire Safety Constructions were selected by competitive tender based on their past experience with fire safety upgrade in heritage sensitive buildings. BMA house is a stones throw from other art deco upgrade projects completed by Fire Safety Constructions – Marlborough Hall, Birtley Towers & Harley. Work is expected to be finished late June 2013. Refer to our BMA House project page for progress details. 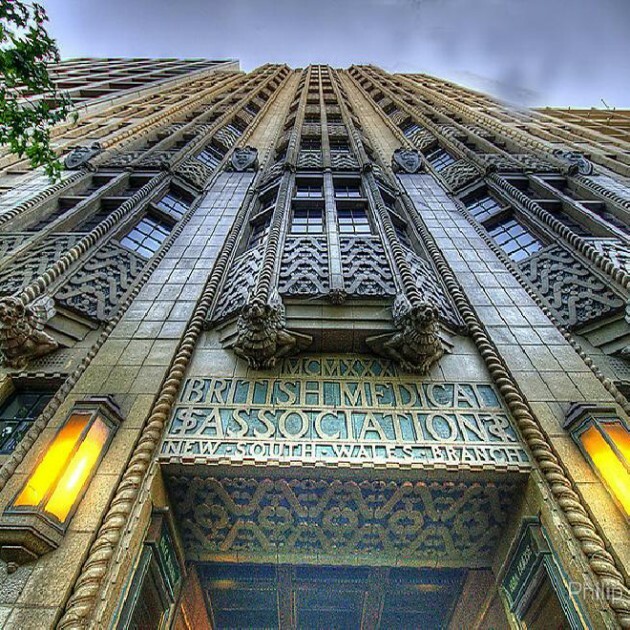 For more information on BMA and its historic significance click here. Check out the FSC YouTube Channel for project and fire safety upgrade updates – and click on the image above to see a video of one of our after-hours team in action!